Looking for a field trip site? Check out a list of museums in DC shared in the post Just how many museums are there in Washington DC? The list is embedded in the post; it is also available in Excel. On the list: Approximately 200 museums including arboretums, botanical gardens, art museums, children’s museums, history museums, science and technology centers, and more! 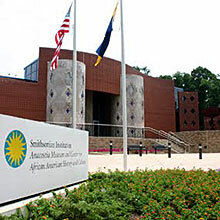 Historian Matthew B. Gilmore posted the list on his site Washington DC History Resources. One City Youth: Learn and Share! Looking for free summer meals? Lions, Tigers, and Red Pandas...Oh My! Bank on YOUR Future on June 28! Need help planning an event? Food at Truck Touch and Summer Kickoff! What's it like to grow up in DC?